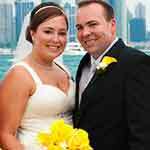 Looking for a romantic save the date with a vintage feel? 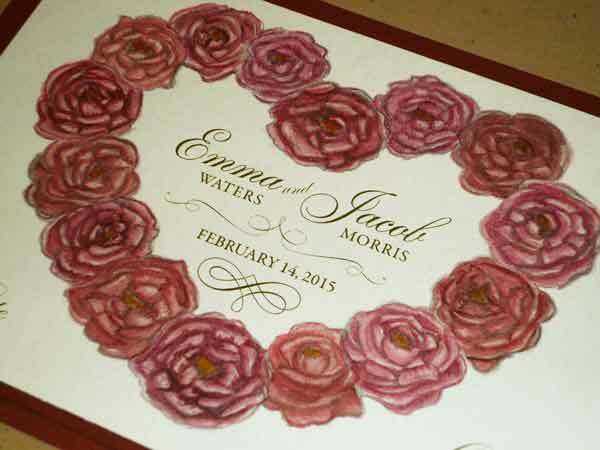 Our peony heart features pinks, reds, and golds and is hand painted with pearlescent watercolors. An antique gold font completes the vintage feel. 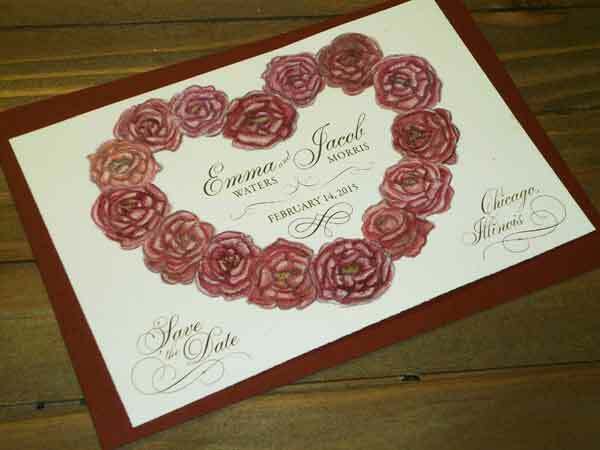 Backed with a 5 x 7 Marsala Cardstock its a perfect way to make a first impression with your guests.